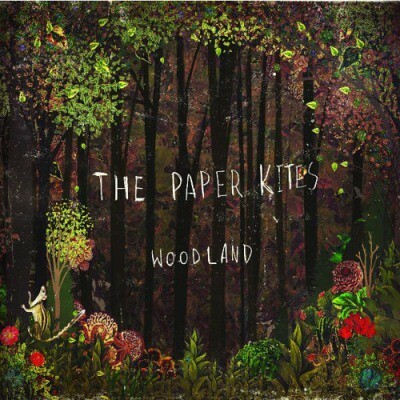 I’ve always had a soft spot for folk: the sweet vocal harmonies and the heart wrenching/breaking, sigh enducing lyrics — so it seems like a no brainer for me to go out and lobby for Melbourne-based folk act, The Paper Kites. The band released their EP Woodland, which is composed of six lovely tracks — all soft, sweet, melodic tunes with lyrics that pinch your insides like “And my love is yours but your love’s not mine (Featherstone)” and “You fill my head with pieces of a song I can’t get out (Bloom)“. No worries, not every track in the EP’s bound to make you lie around the floor weeping, there’s a livelier track in Woodland, a fresh and youthful piece that makes you want to run out barefoot in a field while Willow Tree March oozes with percussion and attitude. It would seem silly for me to recommend a favorite track, as I’ve become endeared to each one. So click on each title below and I beg you, listen. For an avid fan, this seems short and barely enough, but it coaxes you to ask for more ala Oliver Twist and his bowl of porridge. Can I have some more, please?